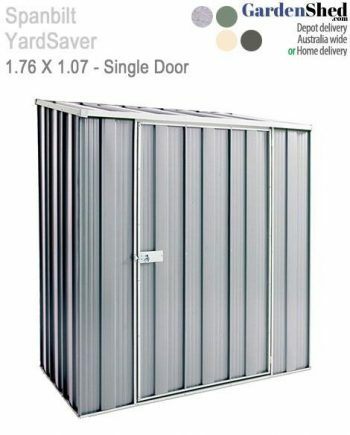 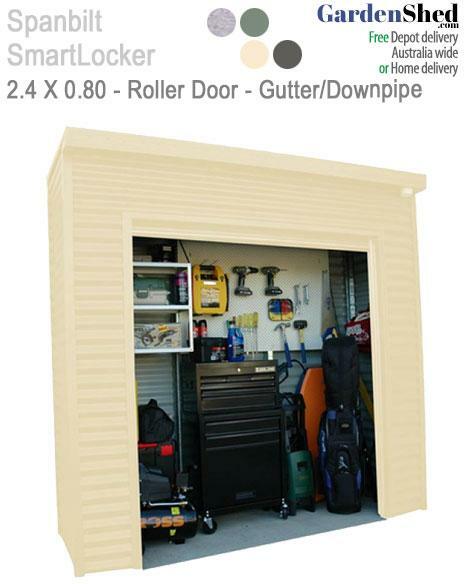 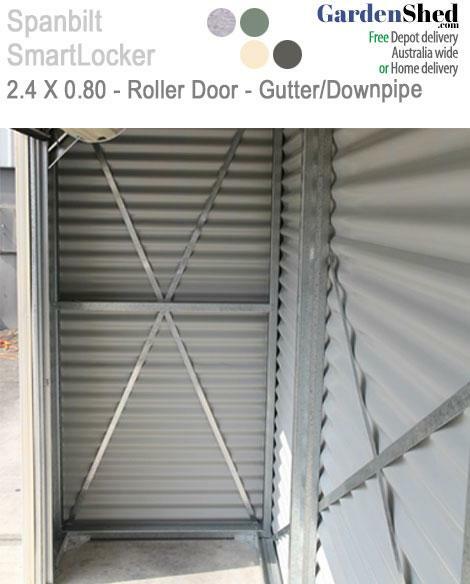 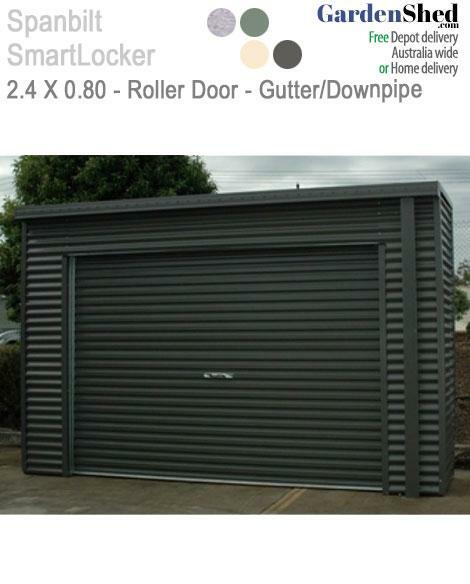 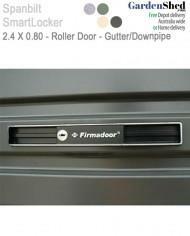 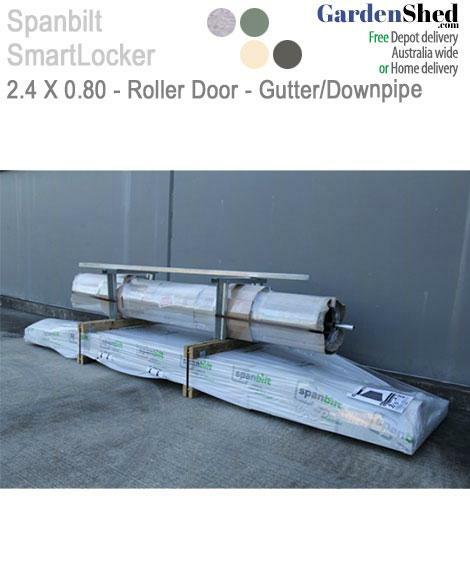 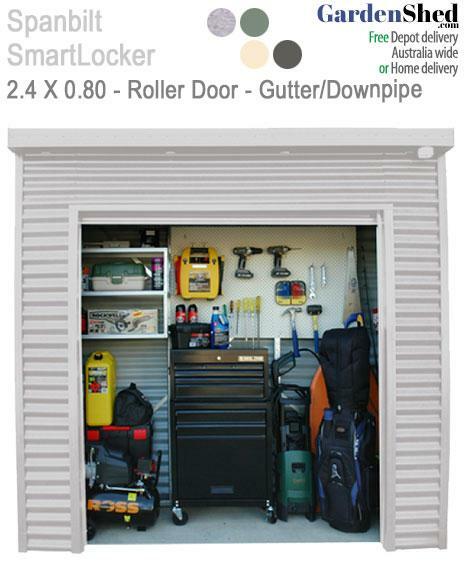 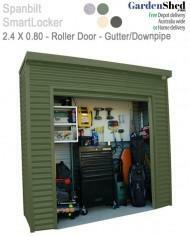 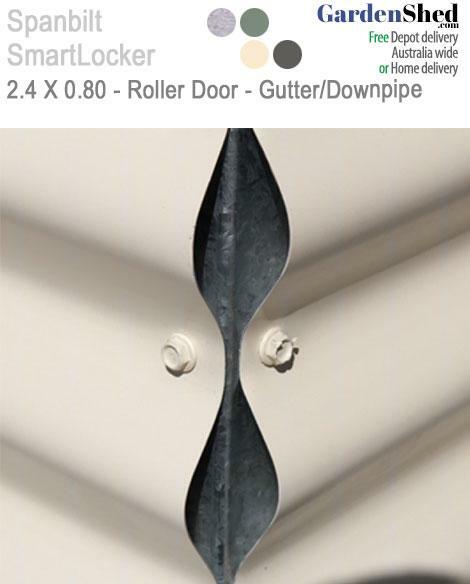 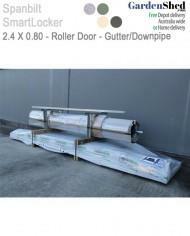 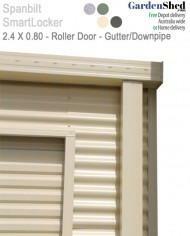 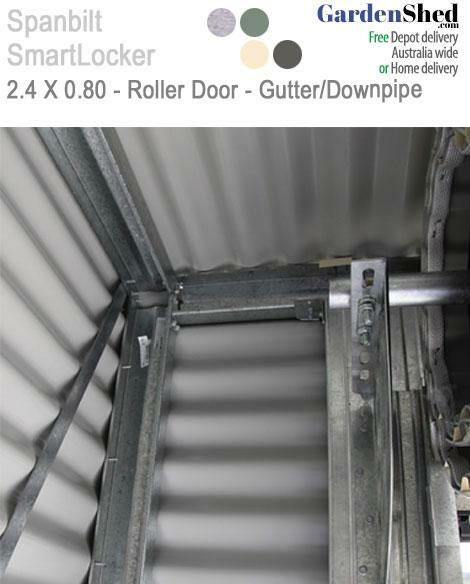 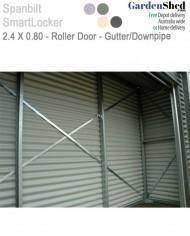 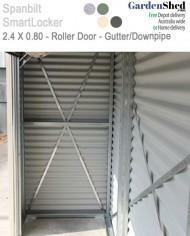 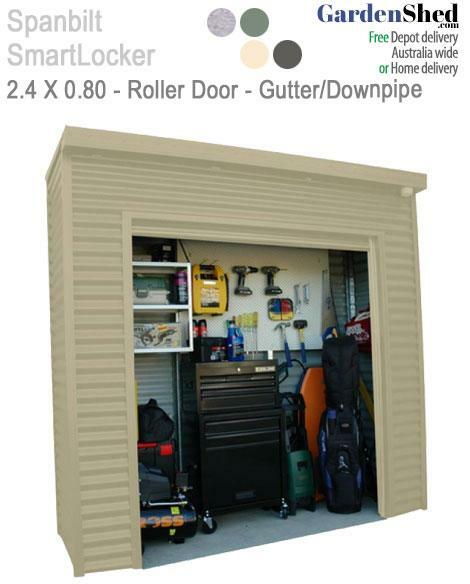 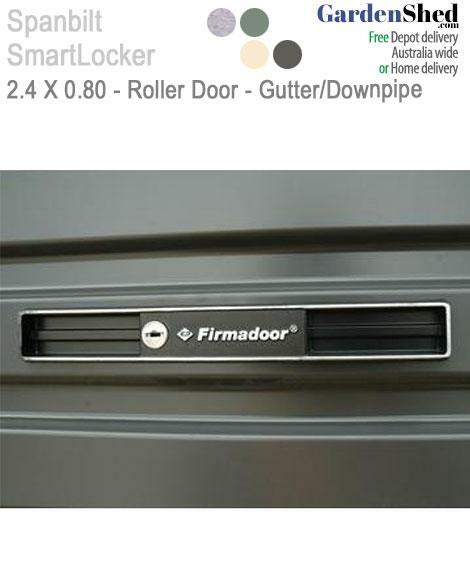 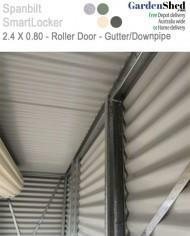 The Smartlocker 800 storage unit has a secure roller door and can fit into small areas. 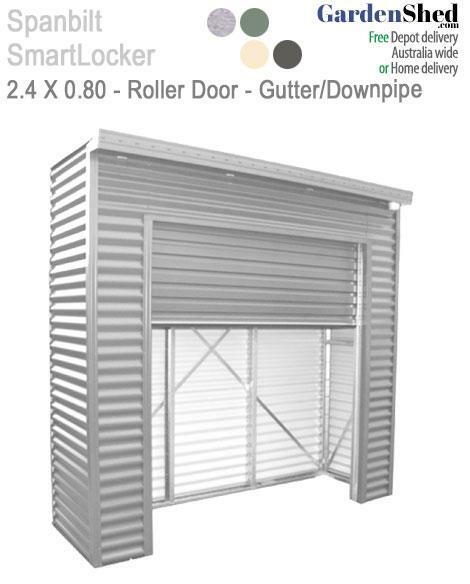 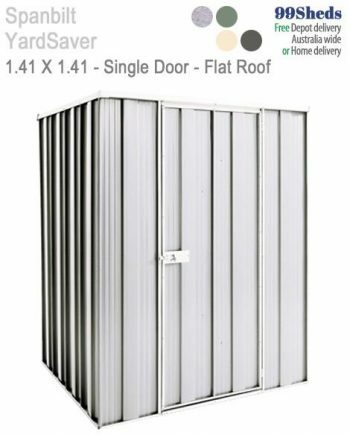 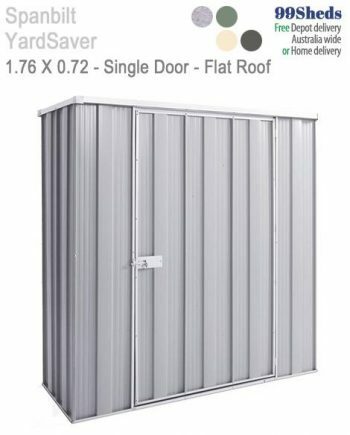 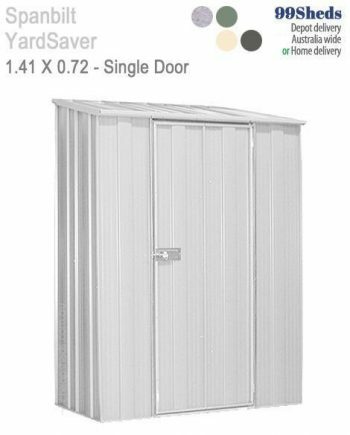 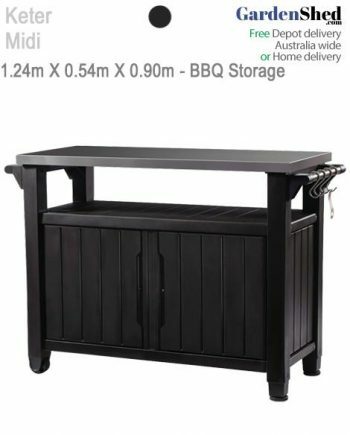 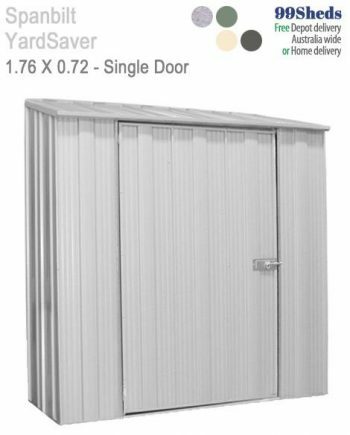 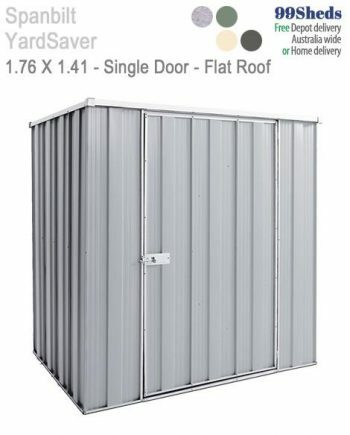 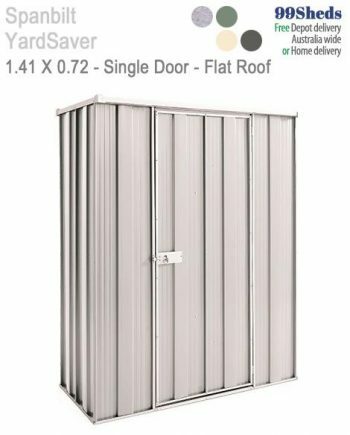 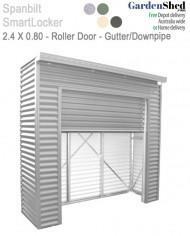 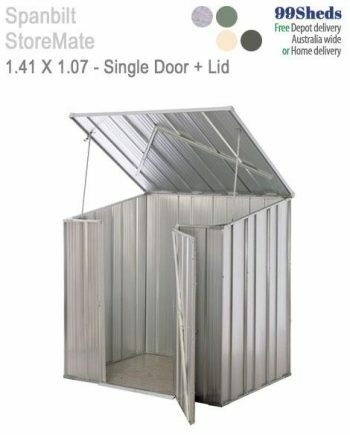 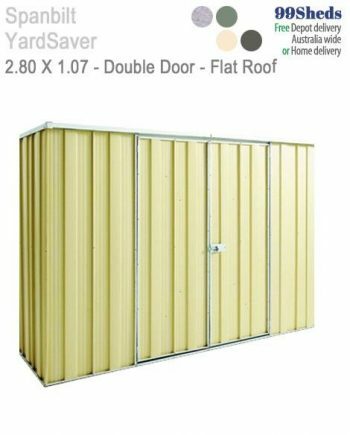 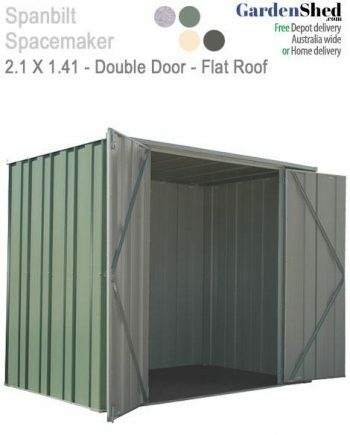 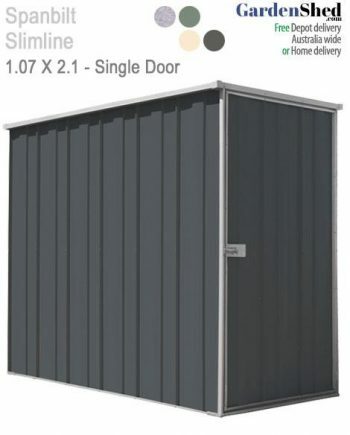 Corrugated steel cladding, water guttering and downpipe included. 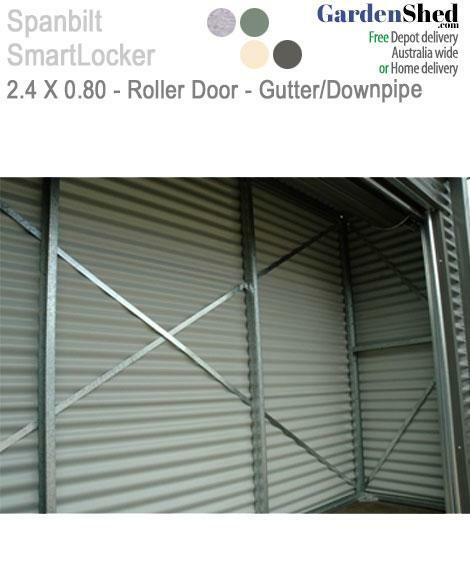 • Roller Door (locakbale) for extra strength and security. 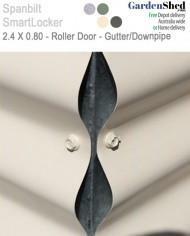 • Water Guttering and Downpipes.